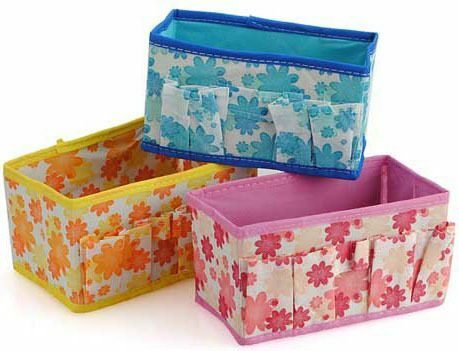 Folding Makeup Storage Box Only $2.42 + FREE Shipping! You are here: Home / Great Deals / Amazon Deals / Folding Makeup Storage Box Only $2.42 + FREE Shipping! Need some more storage for makeup, toiletries or other items around this house? Check out this fabulous idea I found – this Folding Makeup Cosmetic Storage Box is just $2.39 with FREE shipping! These are perfect to organize cabinets, closets or underneath your bathroom sink! I need to grab a few of these to organize all of my bathroom items! Color: many colors, will send at random, please understand! Folded Size: app 18 cm x 10cm.